Step 1. 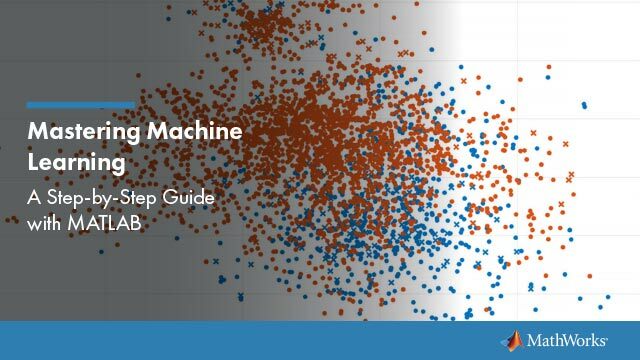 Generate random numbers from the standard uniform distribution. Step 2. Generate random numbers from the Weibull distribution. Step 3. Generate random numbers from the standard normal distribution. Use rand to generate 1000 random numbers from the uniform distribution on the interval (0,1). The inversion method relies on the principle that continuous cumulative distribution functions (cdfs) range uniformly over the open interval (0,1). If u is a uniform random number on (0,1), then x=F-1(u) generates a random number x from any continuous distribution with the specified cdf F.
Use the inverse cumulative distribution function to generate the random numbers from a Weibull distribution with parameters A = 1 and B = 1 that correspond to the probabilities in u. Plot the results. 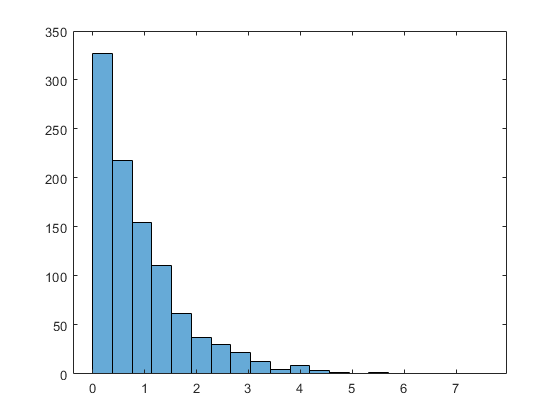 The histogram shows that the random numbers generated using the Weibull inverse cdf function wblinv have a Weibull distribution. The same values in u can generate random numbers from any distribution, for example the standard normal, by following the same procedure using the inverse cdf of the desired distribution. 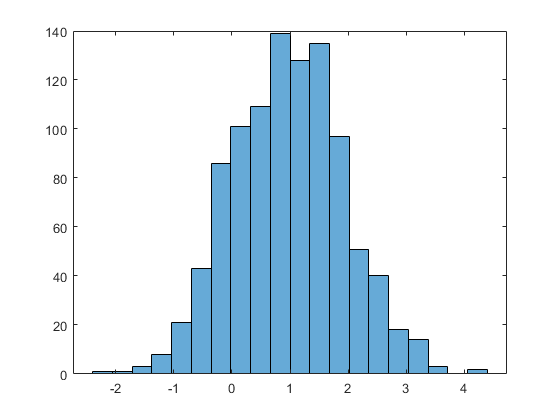 The histogram shows that, by using the standard normal inverse cdf norminv, the random numbers generated from u now have a standard normal distribution.